Including poems from over twenty five years of writing, ‘Flocks of Words’ , published in March 2017, is my first collection. 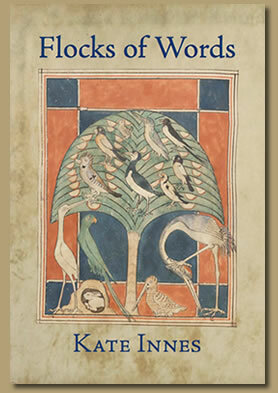 Poems in this volume have been published in The Curlew, Three Drops from a Cauldron, Far Off Places and The Woven Tale Press, amongst other publications. Flocks of Words includes many of the poems written during a residency at the Heavenly Lights Exhibition at Shrewsbury Museum & Art Gallery, featured in the video above. at the edge of places we don’t belong. the path that unwinds in a wood. where old shoes keep its border patrolled. It hides, like teeth behind a kiss. Children understand the places in between. any stone could fall to the abyss. 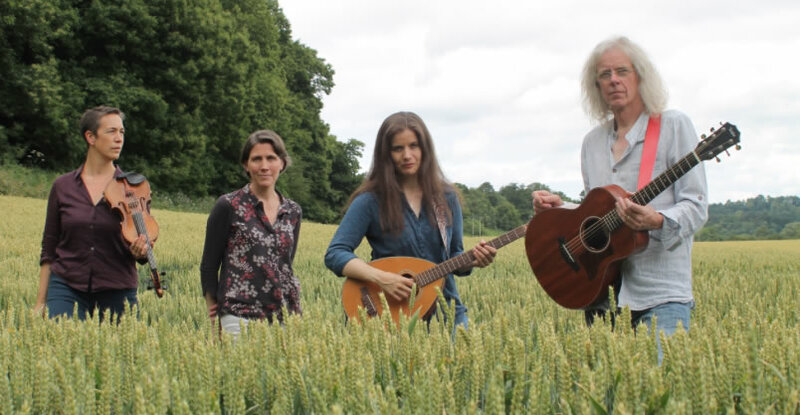 Many of the poems in the collection feature in a special collaboration with the award-winning acoustic group Whalebone, also called Flocks of Words. This powerful interweaving of music and poetry about the mythic landscape is available for small and medium-sized venues. Go to the Music and Poetry page for more information.